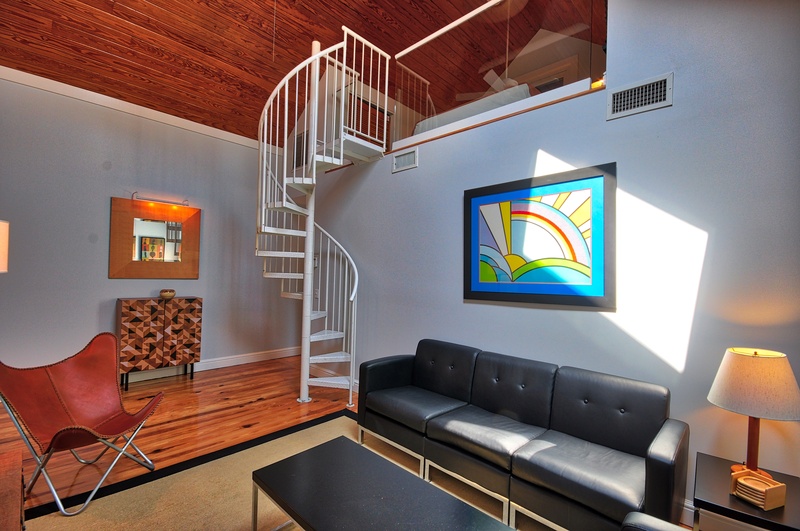 Inside, the comfortable living room has a spiral staircase to the loft second bedroom with a unique glass railing. 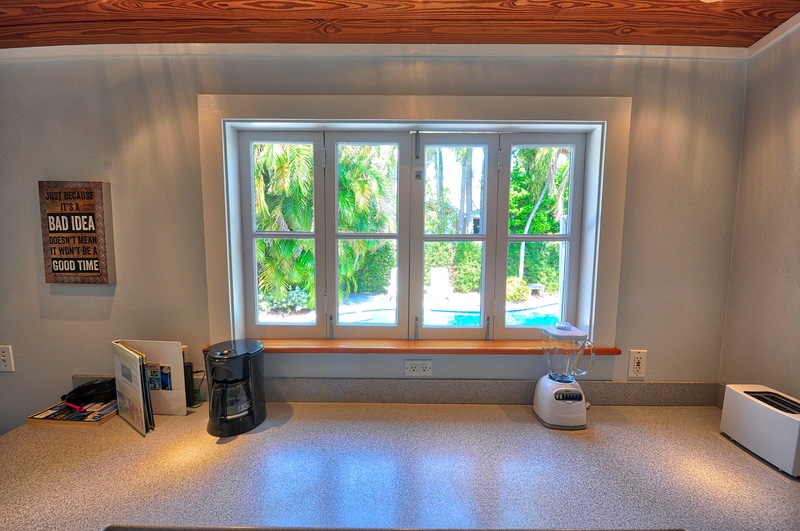 Large windows in the kitchen fold away to allow serving directly to the pool deck and capture the warm, tropical Key West breezes. If cooking isn't your thing, hop on over to the Banana Cafe Restaurant or the Coffee and Tea House- just right next door! 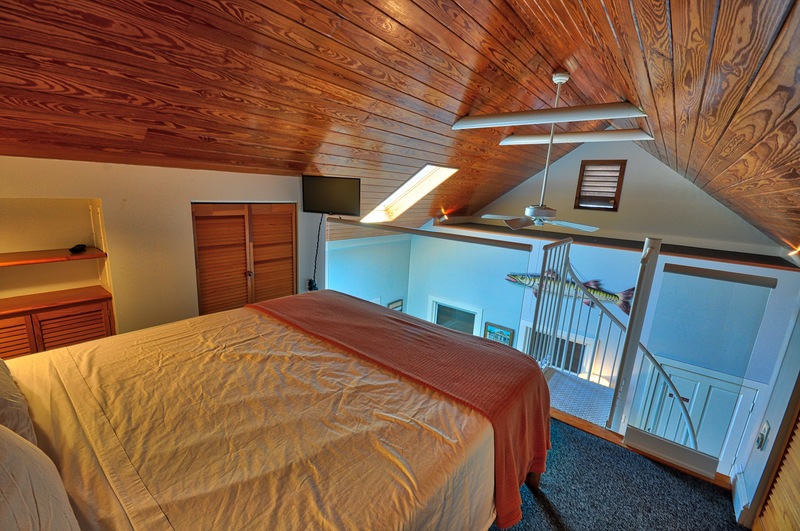 These twin cottages allow for great flexibility in your vacation planning. Rent the whole property as a four bedroom/two bath compound for your large group, or each cottage may be rented separately as two bedroom /one bath for smaller parties. Would recommend it to someone whiteout hesitation. 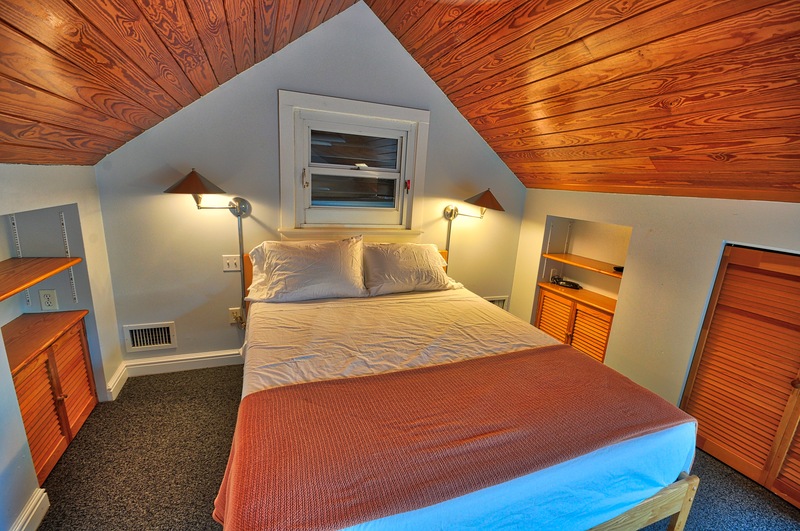 Two adults and two teens fit perfectly in this cottage. The location was great, pool was perfect and the quaintness of the cottage was relaxing. Don’t bother with a car, parking all over is rough. We rented bikes to get around Key West and called an Uber as need to travel further from town. Great location. Parked the car and never touched it again. We will rent this unit again. Great location and thankfully with a pool ! Visited in late September which can still be quite hot. 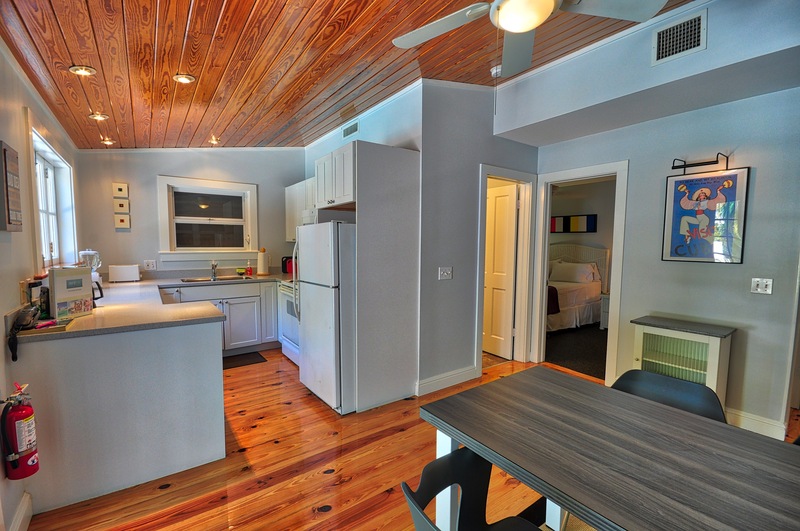 The cottage is a block off of Duval Street, so good access to all the activities there. However, also a challenge for parking should you be bringing a car. The cottage is a bit antiquated. Cabinets in kitchen coming to pieces. Old tube tv. Not much in terms of decoration. A bit dark. Nonetheless, it was clean and comfortable. Best feature was the pool in back garden. If you are coming in the summer, its a welcome amenity to spend hot afternoons around pool. We would explore by early morning and evening, and hit pool in heat of the day. If you're looking for a beach, note that the little beach down the street (Southernmost Beach) is not a great asset. Closest real beach is still Zach Taylor. But still lots of great restaurants nearby. Great place right off Duval. The only negative aspect was the black mold in the loft. The location of the property and the pool are great. The interior needs upgrading to justify the cost. The kitchen and bathroom are tired. Even simple things like a noisy bed and a stained area rug are unacceptable for the amount of the rental. Also, the unit is very dark and cave like - not something you'd expect in Key West. This is my second time vacationing in Key West. The first one was in a nice hotel, but after staying in Pete's Cottage this time, I don't think I would want to stay anywhere else. It's right off Duval St, but on the quiet end. And close to all the really good stuff. The cottage was cozy and had everything we needed. I wasn't sure about staying up in the loft, but it ended up being fun. Kind of like being in a tree house. It was so cozy. with the loft located on the other side of the house from the other bedroom and kitchen, it was actually pretty quiet even though it was open. The pool was gorgeous, and since it was heated and we were there in January, that was a really great feature. Not much parking on the street, but we always managed to find a close parking spot. Can't hardly wait to go back! I have been renting this property every summer for the past 6 years. It is Ideally located for the restaurants at the lower end of Duval Street (the quieter end) and has a great pool (shred with next door) for cooling down in the heat. 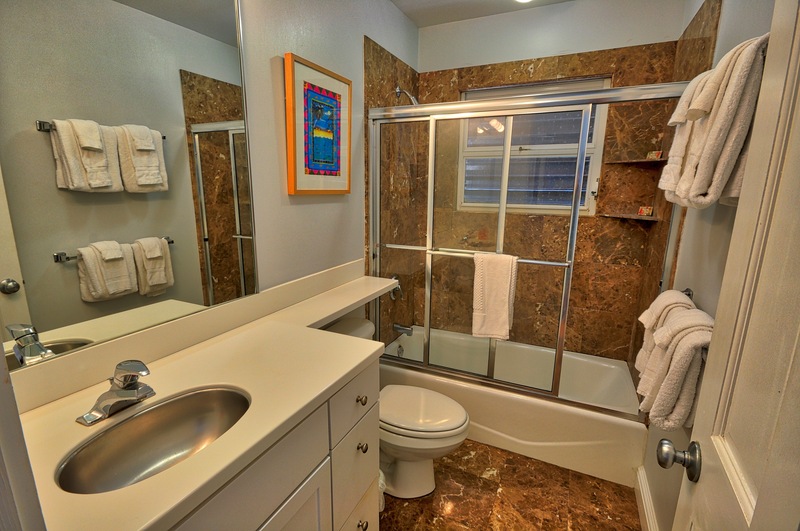 The Property is always clean and tidy on arrival, and the rental company are a dream to work with. The only thing that kept it from being nearly perfect was the rain. Nothing could have been beeter including getting great neighbors.. I would definitely look into a sleeper sofa for the front room and seeing about somehow reinforcing those metal steps for less jingling sound they are really loud! Also, control of the fountain would be great, since we got along with the neighbors and I guess we were all older, it was too loud too talk so we asked to have it turned off eventually! They did an incredible job with the place and would like to inquire about future dates and next new year when possible! 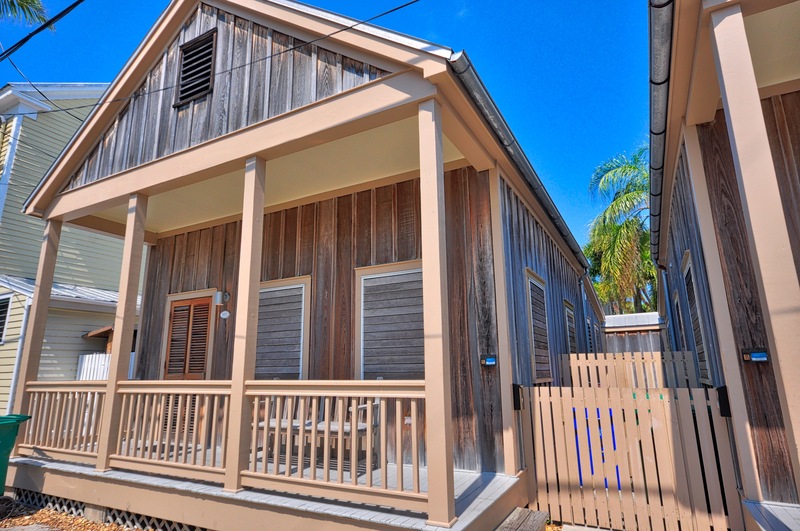 On the opposite end of the Party on Duval Street, this little cottage is perfectly hidden. 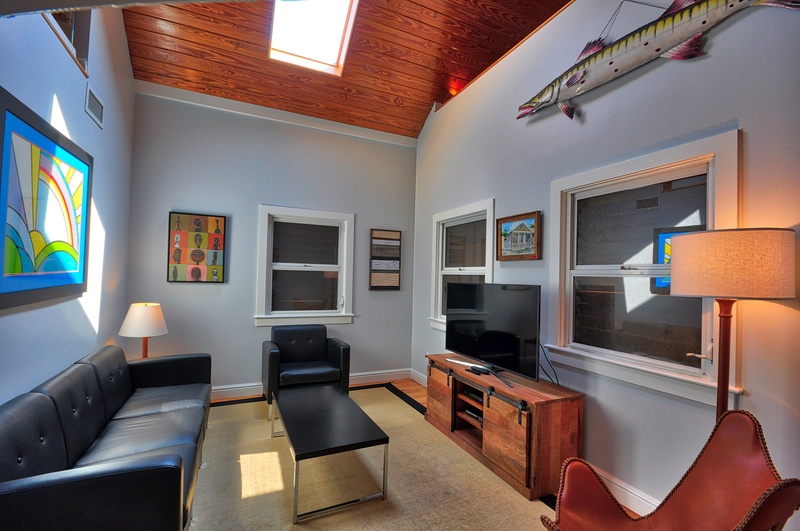 The pool and features of the West cottage will enhance your stay and make you feel like a local. The master bed should be replaced as it is so severly sagging, we had a hard time sleeping. It would also be nice if synthetic pillows were available. We were also a bit disappointed that no dishwasher detergent. laundry soap or sponges were stocked and the two small rolls of toilet paper were hardly enough to get a family of four through two days. 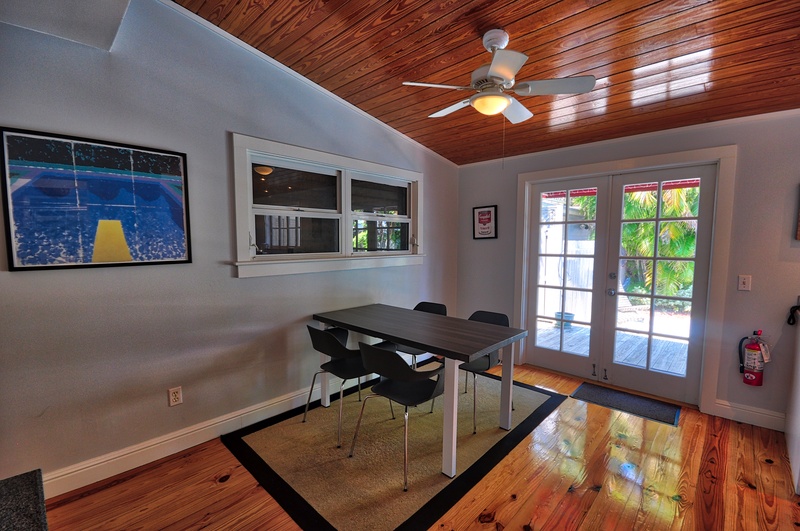 Overall, I would rent the west cottage again when returning to Key West. We would rent this place again! Location and the condition from the cottage were good. The pool is heated and sharing it with the other cottage is not a problem at all. YOU BETTER BUY THEIR INSURANCE !!!!!!!!!!!!!!!!!! 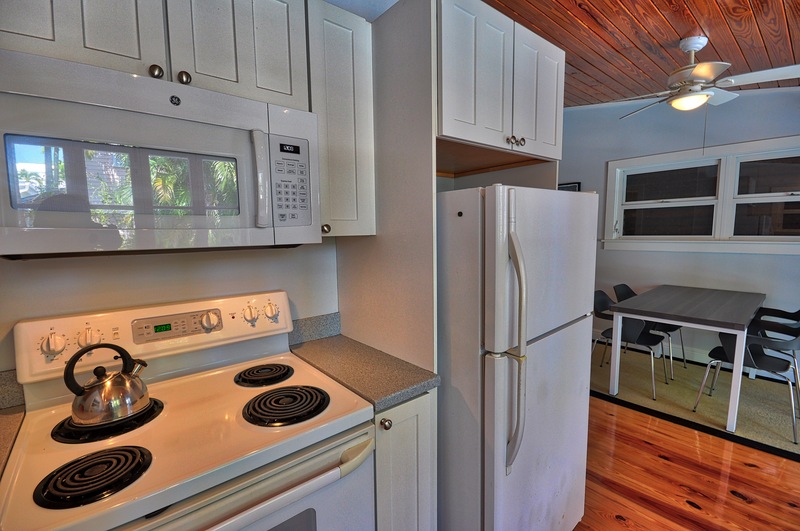 This was the 3rd time I have rented Pete's Cottages from Rent Key West Vacations. Each time has been a painless and professional experience. 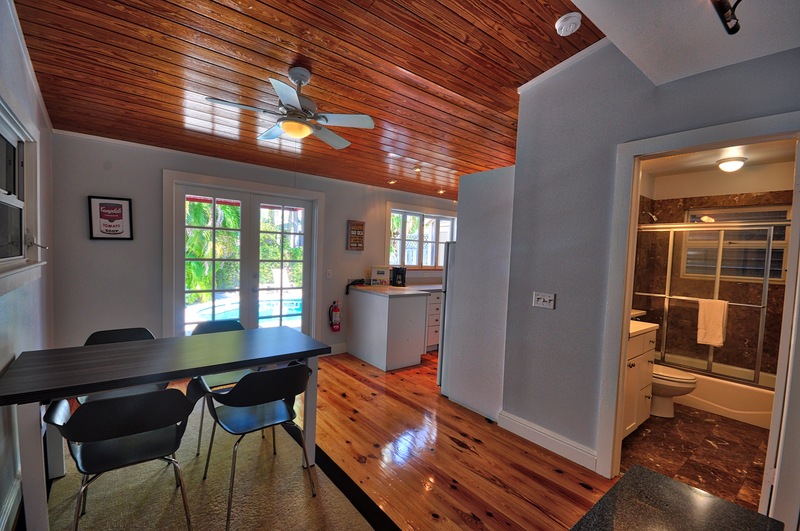 The Cottages are ideally placed at the quieter end of Duval Street, not far from the Southernmost Point, and the beech. I have written a more expanded review on flipkey from previous visits. I will be renting this property again, for next years visit. 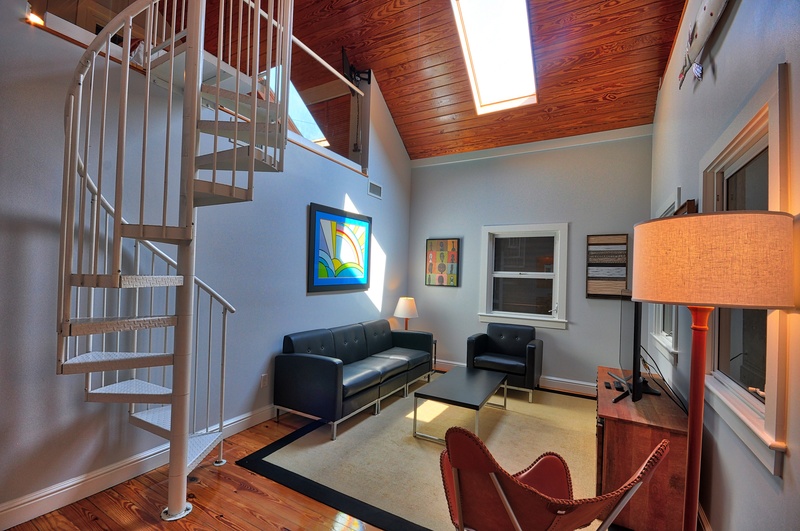 Another great rental on Louisa! 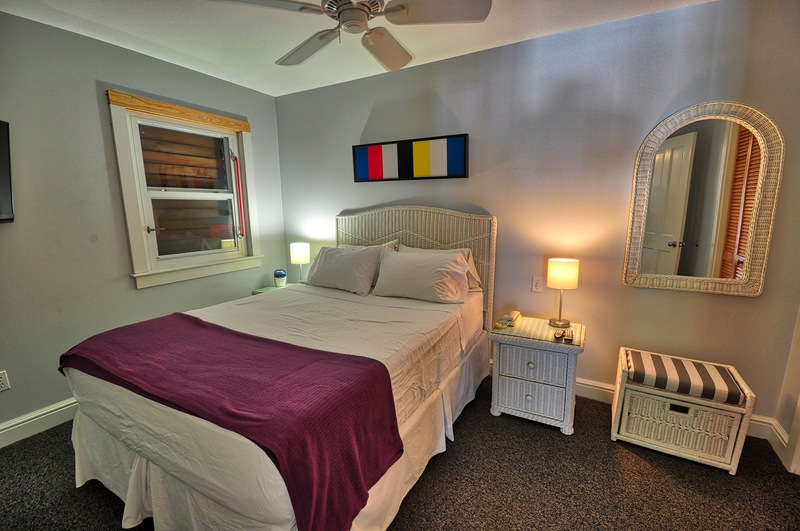 the beds are the biggest problem with this property, The bed in the bedroom downstairs seemed broken. The box spring seemed cracked and gave us horrible sleep. I also mentioned to the office that they need to tell their guest to bring extra comforters because do not supply enough. Me and my wife fought for covers all night. We fought for a thin sheet and this thin littler cover that I guess was considered the comforter. The rest of the property was ok, the office only gave us one key for two couples but on the last day gave us another set but we didn't even bother picking up. Parking was horrible too. A truck took the parking spot in front of the place all weekend long. We were constantly nervous about getting towed away. I would much rather get another vacation rental other than this place. Once our maintenance staff was alerted to the broken bed issue, we fixed it immediatly. There are multiple sets of keys available for all units, so even though guests may receive one set during a late night check-in, there would have been more keys made available the next morning. 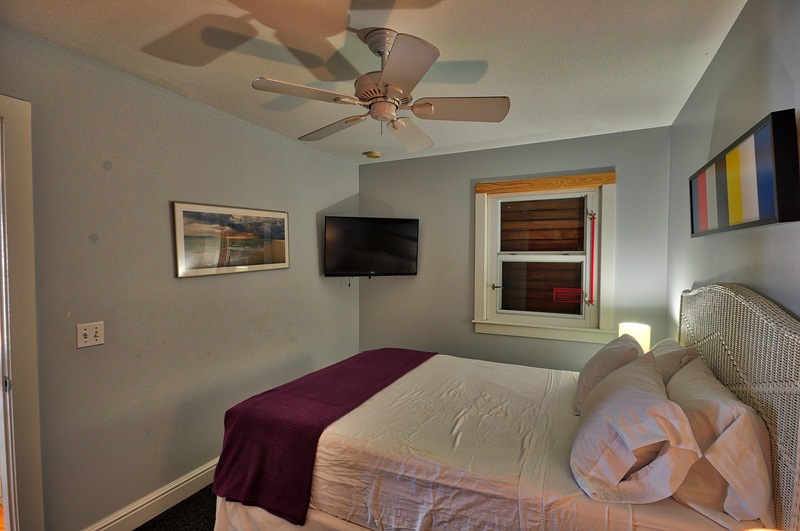 All of our units are fully equipped with linens; if the linens seem inadequate for your stay please contact us immmediatly and we will provide more. Parking is, unfortunatley, a constant issue in our tiny downtown area. Also, during this particular stay there was construction taking place at one of the homes close by, lending even more challenge to the parking issue. When staying in downtown Key West, consider renting scooters or bicycles. A full size car is often not needed in the downtown area. Loved location, nice pool, first night air did not work, was fixed next day and we were compensated for our uncomfortable first night. Circular stairs great for younger people...very clean. If you want to be near the action this is it. Would come again. Pete's Cottage was wonderful. The location between to cafe was needless to say perfect. Being 20 feet from Duval Street allowed for my family (wife and two daughters 2 yr old and 7 yr old) the opportunity to walk as far down as possible. We were able to rent bicycles and see everything we wanted. The pool was amazing addition to the trip that set it apart from all others. I would reccomend this location to anyone. Cottage is in a great location, close to Duval but far enough from the crowd so you get some peace. Despite being close to a coffee shop and restaurant, noise was not bad during the day or at night. 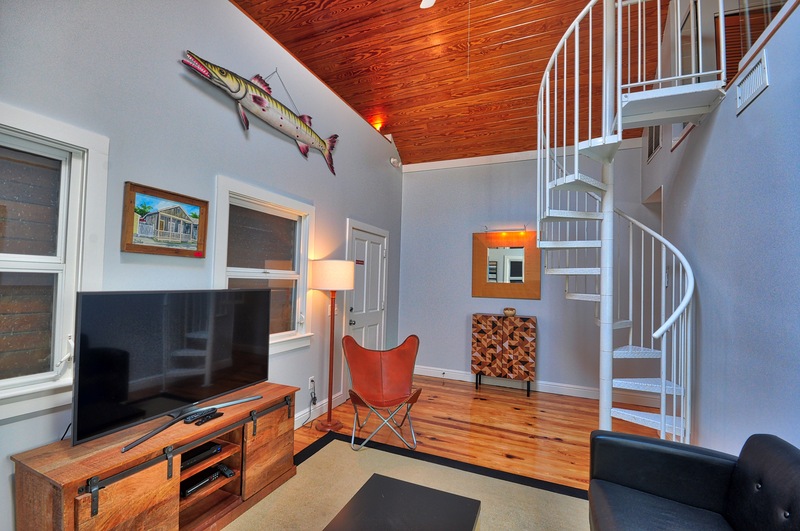 Cottage was perfect for 2 people, but I think it would be crowded for 4 and the spiral staircase to the second bedroom would challenge many people. Overall the cottage was in good shape for a rental. The mattress in the ground floor bedroom is due for replacement, however. The pool was great and we spent a lot of time out there enjoying the water and the breeze.